Today, Mississippians cast their ballots in a runoff election that will determine whether incumbent Sen. Cindy Hyde-Smith (R) will hang on to her seat — or if Democratic challenger Mike Espy will prevail and become the state’s first black senator in Mississippi. If it were up to Hyde-Smith, she would bolster her chances by making it it more difficult for some voters in her state to cast their ballots — in particular those likely to oppose her. Hyde-Smith is not the only Republican caught revealing the real motivation behind GOP efforts to craft new election laws and redraw congressional districts. Rather than tout voter identification laws as a measure to protect against fraud or partisan gerrymandering as inevitable, some Republicans, in unguarded moments, now are telling the truth: voter suppression helps them win. After the video of Hyde-Smith circulated online, her team was quick to first dismiss the comment as a joke, only later to claim the video had been selectively edited. Other Republicans have also let loose — although they usually try to keep their views private. A lawsuit laid bare Michigan’s incumbent Republicans’ concerted efforts to manipulate the 2011 redistricting process to their advantage. Emails filed in the lawsuit show that sitting lawmakers at both state and congressional levels consulted Republican donors. Their language indicates just how invested they were in using the maps to maintain control. When proposed district lines allowed for too much leeway, lawmakers said they were “beyond pissed” or “just hated” the process. Consultants reacted accordingly, re-configuring lines to better suit their clients. The League of Women Voters filed a lawsuit last month that claims the map is both unconstitutional and must be redrawn. But despite backdoor dealings, Michiganders voted to adopt an independent redistricting commission moving forward. The new model allocates the responsibility for making new maps to a bipartisan group of regular old citizens, rather than sitting politicians out to protect their own power. Some Republicans have embraced a frank attitude for several years. In 2016, Wisconsin Congressman Glenn Grothman expressed his faith in voter ID laws’ ability to influence election results on local television. While voter suppression didn’t help Romney win in 2012, President Donald Trump carried Wisconsin and Pennsylvania by slim margins in 2016 to win the presidency. The message from Mississippi to Michigan is plenty clear: Republicans — especially incumbents — intend to keep people from voting, not encourage or facilitate participation. 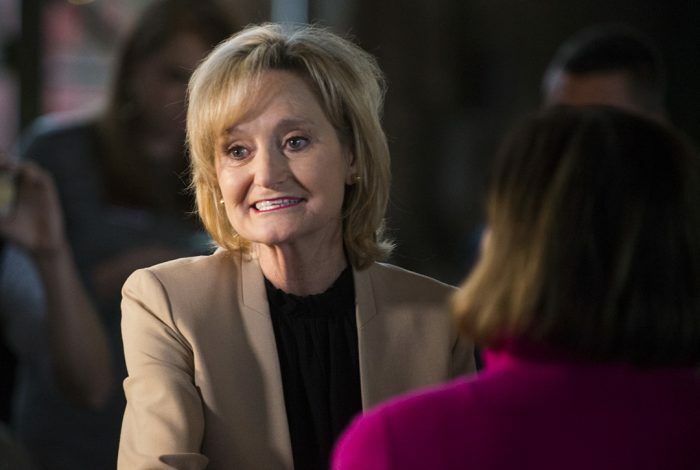 In the Mississippi run-off, the Espy campaign has taken advantage of Hyde-Smith’s honesty to underscore the true intent of established policies. Hyde-Smith isn’t out to run a fair and free election: her party wants to manipulate the system however possible to its own advantage. Related front page panorama photo credit: Adapted by WhoWhatWhy from Cindy Hyde-Smith (US Senate).